Ever wonder what happens in the newborn nursery? Small for gestational age (SGA): <10th percentile for weight. If no apparent reason for the small weight (maternal hypertension or tobacco use), the urine is tested for infection (cytomegalovirus) and drugs. If the infant is below 2500 grams (5.5 pounds), a car seat evaluation is performed (to ensure infant can breathe well while in the car seat) and breastfeeding may be supplemented with a high-calorie formula. A blood test is performed to check hemoglobin levels. Large for gestational age (LGA): >90th percentile for weight. The biggest concern is polycythemia (or too much blood), so a blood test is performed to check the hematocrit. 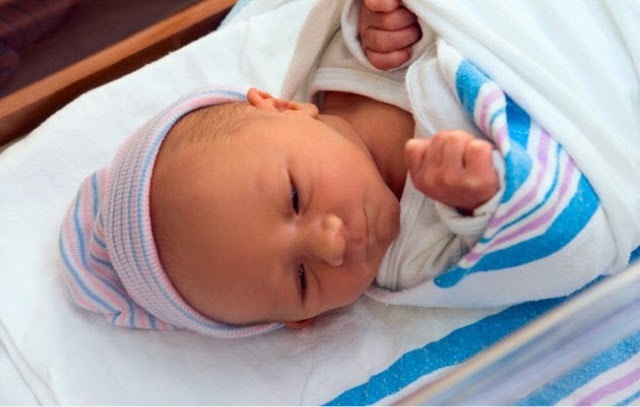 Preterm: Very premature infants go to the NICU for intensive care. The babies just under 37 weeks, however, can stay in the nursery. There, as with SGA , a car seat evaluation may be performed and breastfeeding may be supplemented with a high-calorie formula. A blood test is performed to check hemoglobin levels. Meconium-stained amniotic fluid: The infant’s first stool is accidently passed into the amniotic fluid before delivery. The consistency ranges from thin to thick. 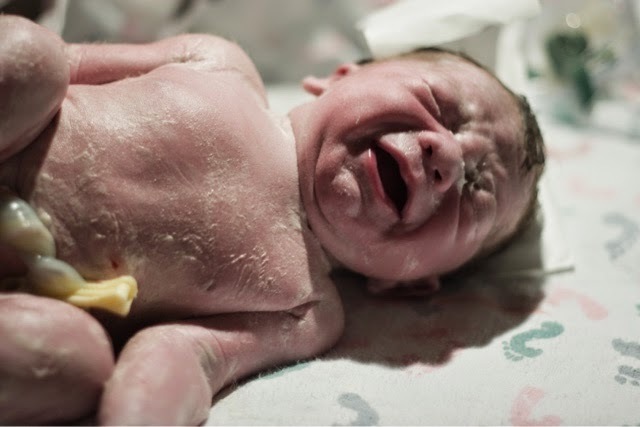 This can be dangerous if the infant inhales the material during his or her first breath, resulting in respiratory distress known as meconium aspiration syndrome. A resuscitation team will be present in case this happens and will perform deep suctioning to remove it. Breastfeeding is always encouraged in infants. Most babies turn out just fine, but it's good to always be prepared.